It feels special here—more supportive, more collaborative, more immersive, more diverse. That’s because Fuqua invests deeply in experiences that help us create a shared identity, while also supporting the unique needs of different members of our community: partners and families, underrepresented minorities, LGBTQ students, veterans, and women. While the diversity of experiences in this community increases each year, we also have long-standing traditions. At the end of each week classes are in session you'll find us at Fuqua Friday, where all students, faculty, staff - with their partners and children - kick off the weekend over food and beverages. Duke basketball season brings out the Crazie in all of us, especially at Duke Basketball Campout where we bond with classmates and friends as teams compete for the chance to purchase season tickets. Making a difference in the lives of others also brings the entire Fuqua family together. Rise Against Hunger draws faculty, staff, and students from all of our programs in a massive operation packaging thousands of meals distributed to individuals in areas affected by natural disasters and political crises around the world. As part of our commitment to the Special Olympics of North Carolina (SONC), events throughout the year culminate with MBA Games Weekend—a light-hearted sports competition involving MBA and MMS teams from more than 20 top business schools. Diversity is a way of life at Fuqua. You’ll experience it in the classroom, in team discussions, in your social activities, and daily routine. As a student your education will be much richer because of the many differences you will encounter in our community—of opinion, age, ethnicity, gender, belief, talent, and family circumstance. We provide a wide range of resources to support the different parts of our community. Attending Fuqua is a joint or family decision for around 30% of applicants to our full-time MBA. 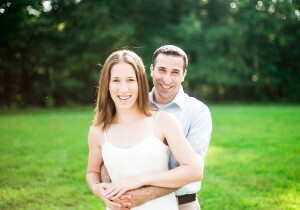 Just as we provide extensive resources for students, we support your partner. This volunteer organization is led by partners in our Daytime MBA program. They help you transition to life in Durham, with a focus on helping partners and families make a life for themselves while their students tackle the daily demands of an MBA. When you arrive in Durham for the program’s launch, Fuqua Partners offers a month-long orientation with daily events. Once you settle in, activities taper down to weekly lunches, bi-monthly field trips, meet-ups at local coffee shops, free weekly movies over the summer, and other gatherings for partners—with and without kids. Follow Fuqua Partners on Facebook. Field Trips: Twice a month the group coordinates field trips to kid-friendly spots such as the NC Museum of Life and Science, Marbles Kids Museum, and local parks. Or hike with other families on the Al Buehler Trail that winds through the forest around the Washington Duke Inn and Golf Club. Taste of Carolina Food Tour: Sample food and beverage while being introduced to the culinary scene in Durham. Running Club: Join other Fuqua Partners for a run with the Fullsteam Brewery's Fullsteam Ahead Run Club and grab a drink after. All paces and distances welcome. Out to Lunch: Fuqua Partners hosts weekly lunches at Durham eateries. Nightlife: Gather for wine by the pool, happy hour downtown, or the '80s theme party - to name a few favorites. Quick Breaks: Families meet at favorite Durham spots such as The Parlour, Locopops, and Ponysaurus Brewery, which is family- and dog-friendly. English as a Second Language (ESL): Fuqua Partners offers both intermediate and advanced ESL classes on campus. This well-received program meets three times a week at Fuqua and costs a nominal fee. Lunch Around the World: Attend a variety of traditional meals prepared by fellow partners and learn more about the different cultures within our community. Coffee Groups: Partners who speak different languages get together to practice their language skills. Bilingual Experience: When registering for an event, Fuqua Partners lets international participants know if someone who speaks their language will be attending. The Ronald McDonald House of Durham provides a home away from home for families whose critically ill children are being treated at Duke Medical Center. Partners have cooked and served entire dinners to families staying at the Ronald McDonald House. Habitat for Humanity helps low-income families build, purchase, and repair their homes. Partners have fixed roofs, painted, and rebuilt porches. SEEDS teaches local youth respect for the earth, life, and each other through gardening and agriculture. Partners have removed tree limbs and cleared debris from the gardens at SEEDS. Life and Work in Durham: During Blue Devil Weekend for admitted Daytime students and their partners each spring, we offer sessions where you can learn about the local housing market, employment opportunities, and what it's like to have a significant other in school. We also offer breakout sessions, by field, for partners who will be looking for a job in the area. You'll learn about companies to target, resources to explore, and people to network with as you plan your relocation to Durham. Help for New Moms: Fuqua Partners provides 2 weeks of meals as a service to new moms just after childbirth. Education: Fuqua Partners promotes educational opportunities at Fuqua and throughout the larger university, ranging from talks like Fuqua's Distinguished Speaker Series to art openings at the Nasher Museum. Some partners interested in furthering their formal education decide to enroll in one of Duke’s programs, while others have chosen to take classes at the local community college. Fuqua's entire community is committed to creating an environment where women leaders thrive, and to elevating awareness about the positive impact women make when they engage, contribute, and have their voice heard in the workplace. Focused on increasing awareness among both men and women of the challenges women face in the workplace, this student-led organization is dedicated to developing a community for women within Fuqua—including students, staff, faculty, alumnae, and partners—and connects with recruiters who support female talent. They drive conversations about issues of women and business across Fuqua, including the Women’s Leadership Conference and a Male Ambassador Program-led discussion of the gender climate in business school. They also play a leading role in recruiting the next generation of female leadership through their support of the Weekend for Women and activities for Blue Devil Weekend. Follow AWIB on Facebook. Learn about Forté opportunities and activities. This annual event immerses prospective applicants in life at Fuqua with a weekend’s worth of opportunities to learn more about business school. You can participate in classes, learn from alumnae of different industries and functions, explore topics in the admissions process, and connect with current students, faculty, staff, and alumnae on issues around women and leadership. Typically hosted in November, the Weekend for Women invites alumnae to join current and prospective students for 3 days of activities on campus. Explore other admissions events for women. We focus on fostering a supportive network for African American, Native American, and Hispanic American students within and beyond Fuqua, building this pipeline of talent into leading organizations. Dedicated to promoting Black and Latino professionals, this student-led organization provides tools and leadership development while helping to connect members with career opportunities. Playing an active role in building the URM network, the club hosts events like the BLMBAO Leadership Conference, supports the Workshop for Minority Applicants, and sponsors several events that benefit Durham’s minority community. Students of any Fuqua program as well as staff, faculty, and partners are welcome to participate. Learn more about BLMBAO. This is a formal structure for nurturing, growing, and capitalizing on the resources of Fuqua’s minority alumni community. The board manages programs to connect underrepresented minority students with alumni who provide career development guidance and who help with the transition "from backpack to briefcase," and pursues initiatives to create relationships between alumni ambassadors and newly admitted minority MBA candidates. The board’s goal is to increase our diversity, working to increase the number of underrepresented minorities applying to our programs, guiding these candidates through the application process, and encouraging them to attend Fuqua once admitted. Meet our Minority Alumni Advisory Board. Celebrating over 35 years, this annual gathering immerses candidates in life at Fuqua with a weekend’s worth of opportunities to learn more about business school while you meet our URM community. You can participate in classes, network with alumni representing different industries and functions, explore topics in the admissions process, and connect with current students, faculty, staff, and alumni about issues in business and business school. Typically hosted in November, the workshop invites alumni to join current and prospective students for three days of activities on campus. Explore other admissions events for underrepresented minorities. As we focus on increasing the representation of underrepresented minorities in business, we collaborate with multiple organizations dedicated to identifying and nurturing talent from those communities. Graduate Horizons supports the higher education of Native American students by providing college and graduate admissions workshops to American Indian, Alaska Native, and Native Hawaiian students from across the United States. Learn more here. Management Leadership for Tomorrow focuses on equipping high-achieving women and men from underrepresented communities—African American, Latino/a, and Native American—to realize their full potential, to make a mark and make a difference. Learn more here. MBA Jumpstart: Founded by Duke MBA alumni John Burt and Elton Ndoma-Ogar, the JumpStart Advisory Group creates a pipeline between highly qualified MBAs and employers in their fields committed to strengthening their businesses by improving their diversity and inclusion efforts. Learn more here. National Black MBA Association: Established in 1970, the organization promotes educational opportunities and economic growth for Black professionals in a series of programs which include case competitions, a leadership summit, leader tech tours, career and higher education expos, and other engagements. Learn more here. Prospanica: The Association of Hispanic Professionals: Formerly the National Society of Hispanic MBAs (NSHMBA), this group focuses on educational and professional development programs that improve the Hispanic community as a whole. Learn more here. Posse Foundation: One of the most comprehensive college access and youth leadership development programs in the United States, this organization identifies public high school students with extraordinary academic and leadership potential who may be overlooked by traditional college selection processes. Learn more here. Riordan Fellows: This program educates, prepares, and motivates recent college graduates to competitively apply and succeed in a top MBA program and management career. Fuqua participates annually in their Diversity MBA Admissions Conference (DMAC). Learn more here. Robert A. Toigo Foundation: This foundation has a mission to foster the career advancement and increased leadership of underrepresented talent by creating mechanisms for greater inclusion from the classroom to the boardroom. Learn more here. The Choctaw Nation of Oklahoma: The third largest Indian Nation in the United States, the Choctaw Nation assists tribal members actively pursuing higher education by providing them with scholarships or grants to different universities. Learn more here. We remain steadfast in our policies of nondiscrimination for all of our students, faculty, staff, alumni, and visitors. Fuqua resources focus on building the pipeline of qualified LGBTQ talent into business and increasing the representation of different backgrounds and viewpoints in our classes. This student-run organization focuses on providing a social and support network for Fuqua's LGBTQ community members and their straight allies. They promote educational dialogue about LGBTQ issues in the broader community, serve as a resource for prospective students, and actively engage business leaders, employers, and recruiters in the job-search process. Learn more about FuquaPride. This annual weekend is open to all prospective MBA students, regardless of their background, who share our values of diversity and inclusion. 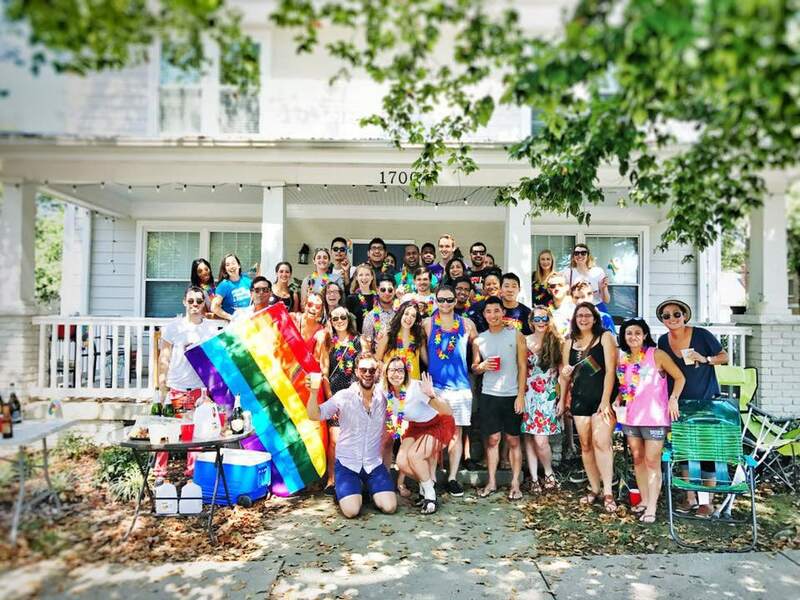 Student members of FuquaPride, our lesbian, gay, bisexual, transgender and straight ally organization, serve as hosts as you learn more about business school. You can participate in classes, connect with alumni of different industries and functions, explore topics in the admissions process, and meet with current students, faculty, and staff. Typically hosted in December, LGBTQ Weekend invites alumni to join current and prospective students for three days of activities on campus. Explore other admissions events for LGBTQ candidates. This organization is focused on educating, inspiring, and connecting the student and alumni LGBTQ MBA & graduate communities in an ongoing effort to create the next generation of out business leaders. Fuqua students are eligible for the Reaching Out LGBT MBA Fellowship, a competitive national scholarship and leadership development program providing mentorship and access to ROMBA events. Learn more here. The nation’s largest scholarship-granting organization for lesbian, gay, bisexual, transgender, and queer (LGBTQ) students of merit, Point promotes change through scholarship funding, mentorship, leadership development, and community service training. Learn more here. We build community for members of the armed services even before you apply to our program. Fuqua’s resources focus on helping you leverage leadership and management skills to advance in your military career or to successfully transition to professional civilian life. We are a proud supporter and active participant in the Yellow Ribbon Program, and Military M.B.A. named us one of the top five Best Value MBA Schools for Veterans. The mission of this student-led organization is to attract the top military applicants to Fuqua, develop and connect current students to leading employers, and enhance connections with the entire student body. The group is also committed to enriching the greater Fuqua community through outreach and service initiatives aimed at bridging the gap between the civilian and veteran populations. Learn more about members of DAFA. Graduate Management Admissions Council (GMAC): GMAC provides resources and information for military applicants that help you navigate opportunities in graduate management education, including information about financing your degree and the Operation MBA Military Planner to help you map out a transition from the military into business. Fuqua is designated as a GMAC Military-Friendly School. Learn more here. Military MBA: Created as an education network for military officers and NCOs interested in obtaining and applying their MBA graduate degrees for career advancement, this organization represents MBA schools and prospective MBA students who have a background in the military. Learn more here. This annual event immerses prospective students in life at Fuqua through sessions that focus on business education and the opportunities a business degree provides from the perspective of a military applicant. You can participate in classes, learn from alumni working in different industries and functions, explore topics in the admissions process, and connect with other military applicants, students, and alumni on issues around translating your experience into business. Typically hosted in the fall, the Veterans Symposium invites alumni to join current and prospective students for 3 days of activities on campus. Explore other admissions events for veterans. At the end of each week, Fuqua gathers together for food, refreshments, beer, and wine. All students, faculty, and staff are invited, as well as partners and kids. 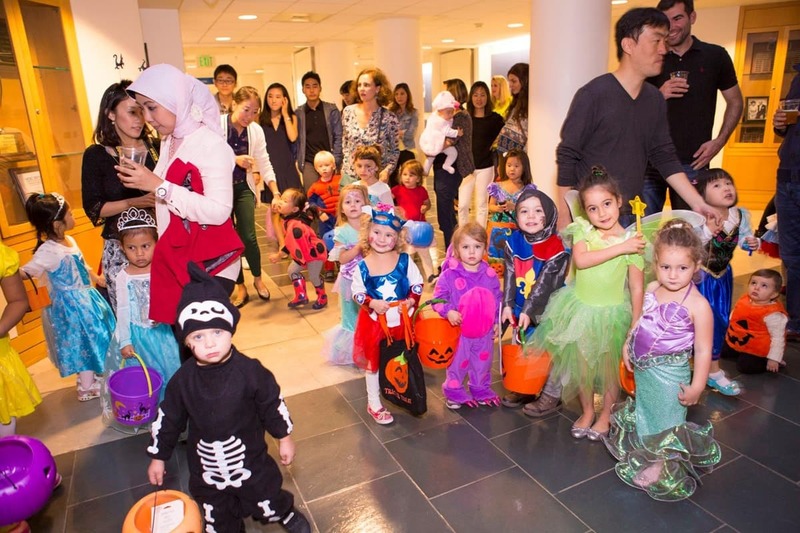 It gets super cute around Halloween, as students offer trick-or-treating for little ones. 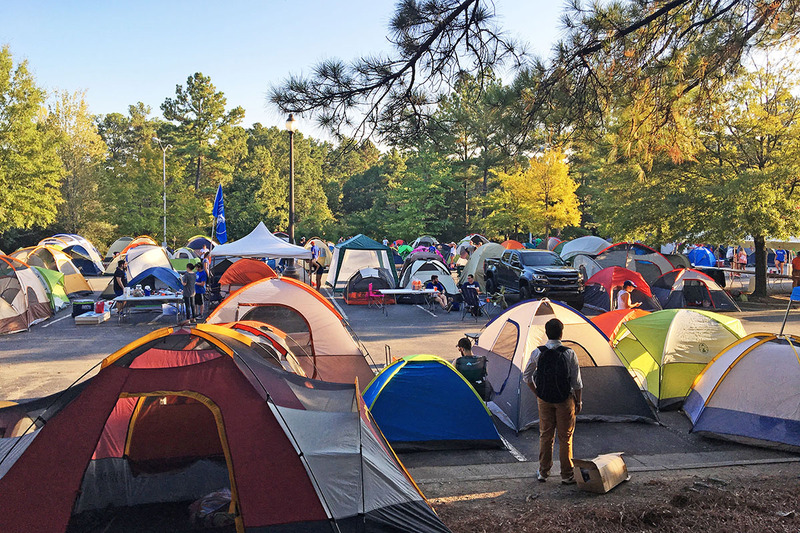 Each fall, all of Duke's graduate and professional students are invited to live in a parking lot for 36 hours in a tradition known as Campout—a test of endurance with winning teams earning a chance to buy a season pass to men’s basketball games. Going into my MBA program as a new mom, I knew I’d have the unwavering support of my partner, but I wasn’t counting on finding so many Fuquan parents eager to help. Why Would Any LGBTQ Individual Get Their MBA in NC? 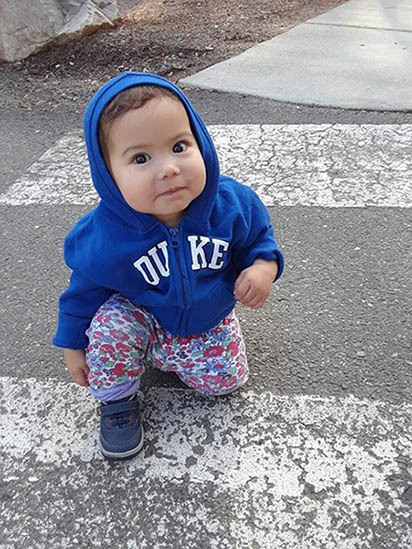 Colleagues kept asking, and this student's answer was that Fuqua, the broader Duke community, and the greater Durham area will always remain safe, inclusive, and supportive places for LGBTQ students. How does business school benefit veterans? 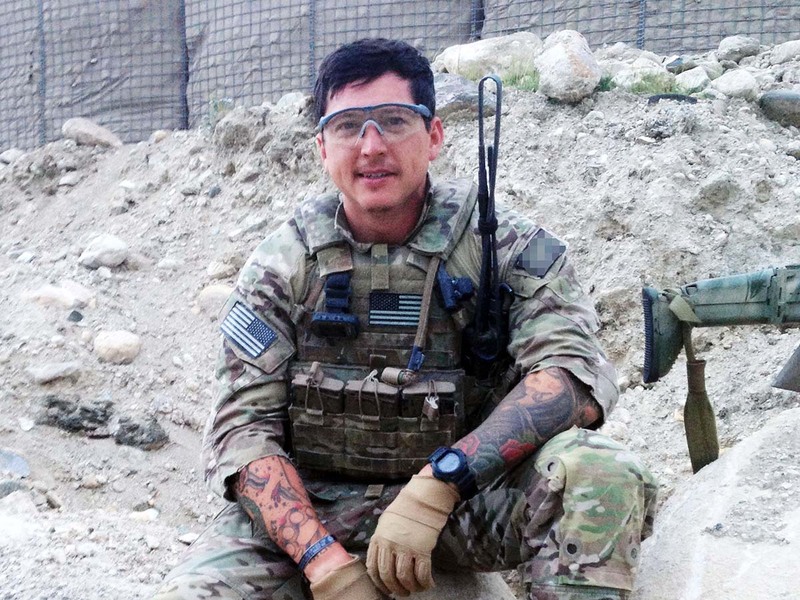 A former Green Beret shares his experience in the Weekend Executive MBA program and what it’s done for his career. Kiss normalcy goodbye for a little while as you both try to figure out how to ride this roller coaster together and remain standing at the other end.